Reflection PR Awards delivers impressive results for our clients - securing business awards success both here in the UK and internationally. Suzy is managing director of award-winning PR agency, Reflection PR, which she founded in 2009. Her passion for writing awards saw Reflection PR Awards launch in 2015. With 18 years of PR and marketing experience and qualifications from the Chartered Institute of Public Relations and the Chartered Institute of Marketing, Suzy has written a vast range of national and regional award entries, An experienced awards judge and finalist for the CIPR’s Best Young Communicator, Suzy’s strong storytelling skills helped her to achieve a 100% success rate for awards she wrote in 2017. Laura, a fluent French-speaker, has been working in PR and communications for nearly twenty years, with valuable experience gained working for tourism brands including the Moroccan National Tourist Office, Visit Suffolk as well as working with property, construction, education, retail and professional services clients. 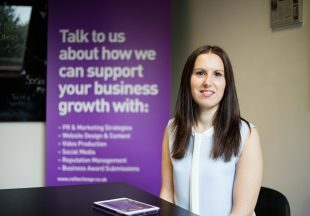 Laura has a passion for bringing a company’s brand story to life through convincing copy, with awards success achieved in the tourism, construction and regional Business Awards. 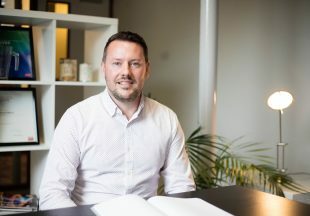 With over 20 years’ experience of working in agriculture, sports, amenity and leisure, Neil is UK and Ireland Head of Sales for a global multinational as well as Director of Reflection PR. His Leadership and Management business qualification from Cranfield University and strong sales background is put to good use, helping with operational functions.